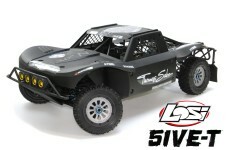 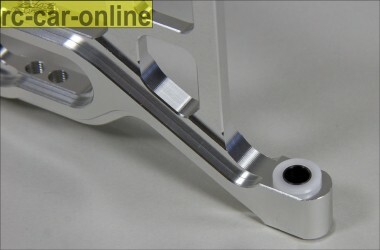 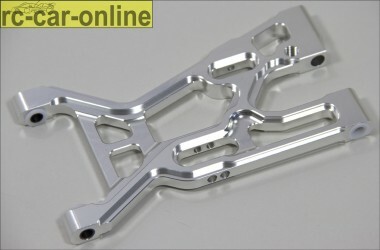 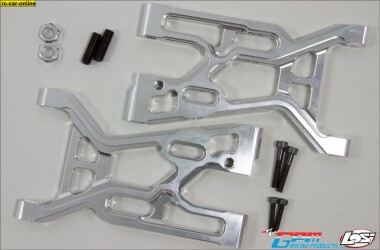 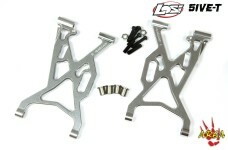 LO5T055 GPM Aluminum lower front a-arms for Losi 5ive-T, 2 pcs. 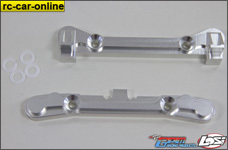 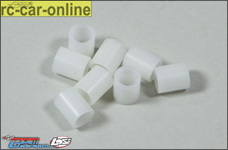 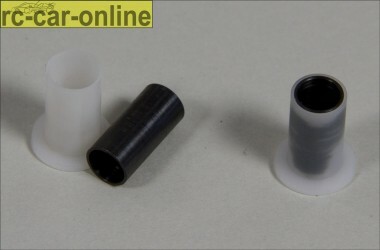 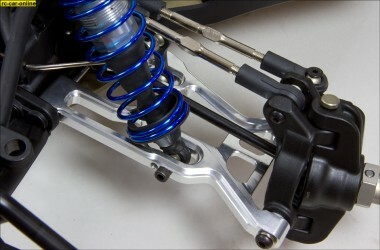 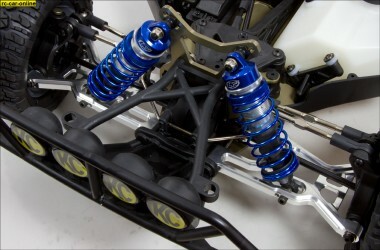 Losi 5ive-T a-arms made by GPM, machined from high grade 7075-T6 aluminum, with replaceable bushings. 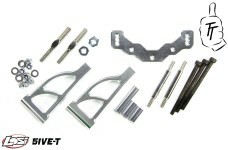 All necessary hardware included. 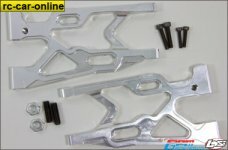 Set of 2 top quality a-arms. 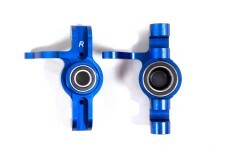 The bushings on the outer side towards the C-hubs now feature a steel sleeve. 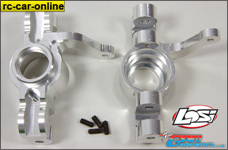 In combination with aluminum C-hubs the bolts for this connection can now be tightened as usual. 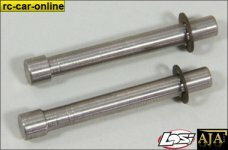 Of course the M6 screw in the sleeve should not be tightened excessively, but a normal torque against aluminum C-hubs is now easily possible. 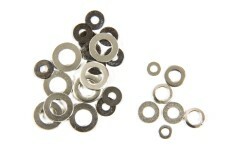 However, as with any metal screw thread locking compound is still required, of course. 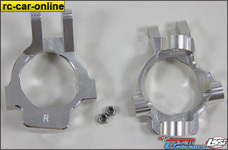 We recommend to omit the usually installed washer under the bolt head at this point!